The MX341 is a two phase sensed Automatic Voltage Regulator (AVR) and forms part of the excitation system for a brushless generator. In addition to regulating the generator voltage, the AVR circuitry includes protective features to ensure safe reliable control of the generator. 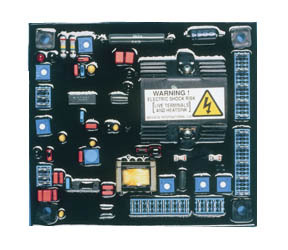 Excitation power is derived from a permanent magnet generator (PMG) to guarantee low Radio Frequency Interference (RFI) and immunity from thyristor type loads.